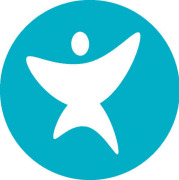 Vitamin Angels helps at-risk populations in need - specifically pregnant women and children under five - gain access to life changing vitamins and minerals. To create healthier tomorrows, we start at the very beginning by connecting underserved pregnant women with prenatal multivitamins to improve birth outcomes. To help keep young children healthy, we promote strong immune systems with vitamin A. Our approach is simple, but our impact is profound. This year alone, we’re reaching over 60 million moms and children in 74 countries and every state in the U.S.
Would you recommend Vitamin Angels? I have known of the organization for many years now and wrote about their work delivering Vitamin A to malnourished children around the world in my book, The Art of Cytology: An Illustrative Study Guide with Micronutrient Discussions. I have written over the years on occasion to the Vitamin Angels with ideas about how to incorporate other micronutrients into their programs, such as zinc which works with vitamin A to get more accomplished in the body.They listened to me and expanded their delivery to include prenatal and multivitamins. My son, Jacob, and I worked in the name of the Vitamin Angels to deliver two suitcases full of prenatal and children's vitamins to women and children at an orphanage in Haiti a few years ago. The vitamins where donated by the Natural Health Center in Kalamazoo, MI where my son worked. Friends in the community also helped with donations. I can think of no better organization I'd like to support.